The Mavrodi Mondial Moneybox, popular Ponzi scheme known as MMM, payment suspension for one month was top on Google search this week, an official said on Thursday. The Google’s Communications and Public Affairs Manager, Anglophone West Africa, Mr. Taiwo Kola-Ogunlade, made the disclosure in a statement in Lagos. He said that the search was as from December 7 to 14. According to him, it is described as a period of shocking realities and rumours, as some of the stories that trended this week include the popular Ponzi scheme MMM, the collapse of a church in Uyo. He said that the rumour of an air crash and the election of a new president in Ghana, among several others, also got people’s attention online. 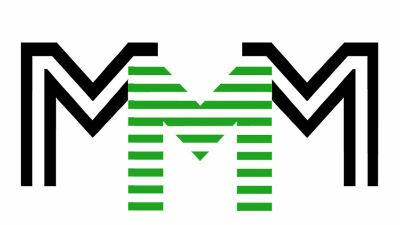 He said, “An air of panic started on the Internet, following the news that popular Ponzi known as MMM is suspending further payment to its existing members for one month. Countdown to the Grammys Award and following several months of speculations, the 59th Grammy Awards which would be broadcasted live on Feb. 12, 2017, was filled with as much surprises as expected, Kola-Ogunlade said. He said that leading the award list was Beyonce, with a total of nine nominations including albums of the year, while Drake, Rihanna and Kanye West got recognised for eight nominations for different songs. He said that once again, the leading hitmaker and singer, Tekno dropped a new song ‘Rara’ as the year 2016 draws to a close. He said, “The song which is laced with an afrobeat led tune was produced by Selebobo. The Google manager said that Ghana’s presidential election saw Nana Akufo-Addo being elected as president and Nigerians went on Google search to support their all-time jollof rice rival. He said, “The incumbent president of the country, President John Mahama, has conceded defeat to the newly-elected president who was running for the third time this year. The roofs came tumbling down and the day that was meant to be a consecration turned into a mourning day, Kola-Ogunlade said. According to him, the day was meant to be a consecration into a life of service at the Reigners Bible International Church became a trending topic for tragedy after its church building collapsed. He said, “The incident led to the death of over 200 people with several others sustaining injuries. He said, “Dana Air came out to deny the report in a newspaper which claimed that one of its plane crashed in Lagos. The Google manager listed other trending stories this week as the regular update search on the English Premier League, news on the detained leader of the Indigenous People of Biafra, IPOB, Mr Nnamdi Kanu. He said that Kanu stated that the secrets he would reveal at his ruling would ‘sink Nigeria. Also searched for was Cristiano Ronaldo who again, wins the Balls D’or for the fourth time, as well as the release of the new song, ‘The Ultimate Street Anthem’ by Olamide and Burna Boy.